Best bank for a community business? Ask a Local. At Savings Bank of Walpole, we appreciate and support the vital role local businesses play in a vibrant community – one reason Kathleen and Rick have been longtime SBW business banking customers. 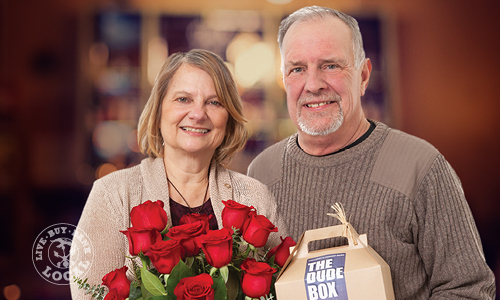 From the delicious herb dips, soups and mixes they craft at Halladay’s Harvest Barn, to the stunning arrangements they create at Halladay’s Flowers, Kathleen and Rick Govotski are seasoned business owners who are also actively involved with neighborhood and community organizations. Is there a missing ingredient in your business banking mix? Let us help! Come see us, call 352-1822 or click here.